During the Democratic National Convention, Democrats spent the majority of the week making their case to the American electorate, more specifically to independent voters, that the future their platform offers America is more inclusive and more in line with the principles in which this country were founded. The DNC proved to be a case study on political marketing. The convention started with First Lady Michelle Obama serving as the character reference for the President, giving America a glimpse of what truly motivates the man and a clear sense of his moral fabric. Then President Clinton provided the detailed job performance evaluation, with the unique perspective that only a former president could provide, that afforded America real insight into just how difficult things were when President Obama was elected and how successful he truly was given those circumstances. Between these two amazing speeches were a number of enthusiastic, passionate speeches that proved powerful in their own right, which leads me to President Obama’s speech. As with any big sales pitch, after the case has been made, a closer is brought in to give the decision-maker a sense of comfort that it is okay to say “yes, I’m sold”. A closer is a combination of smooth energy, inspiration, integrity, confidence and competence. 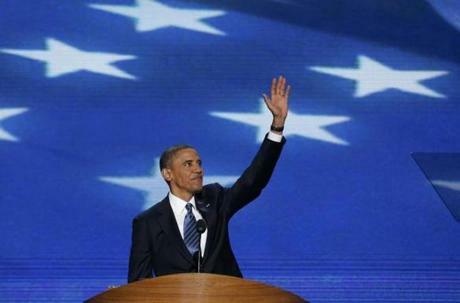 On day three of the DNC, Barack Obama proved to be the Closer-In-Chief. Instead of employing the oratorical gifts and flair that we have seen from him during his previous speeches at the 2004 and 2008 conventions where he was a candidate, President Obama made a stately speech that clearly delineated the differences between him and his opponent, Mitt Romney. The President laid out his goals matter-of-factly while showing enough confidence in what he was offering to even acknowledge his “failings” without fear of how his opponent may try to use his words against him. The Democratic Party seemingly has had an unbelievably successful three days in the spotlight. They have offered voters a beautifully choreographed sales pitch concluded with the voice of the President. In the coming days, we will get an idea of how successful the convention really was when we see how large of a “bump” the President gets in the polls. Ultimately, we will see how effective our country’s Closer-In-Chief was in making his case for another four years.